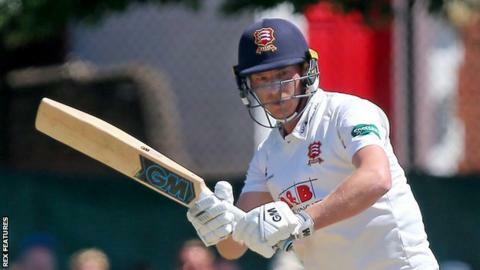 Tom Westley and Nick Browne starred as Essex chased 253 to inflict Surrey's first defeat of the season and go top of County Championship Division One. Essex's Neil Wagner took two wickets and a run-out as Surrey added 35 to their overnight score of 253-7. Given 83 overs to chase, Essex started well as Browne (77) and Alastair Cook (31) laid a platform at 148-2. Westley (108 not out) put on a 105-run partnership with Dan Lawrence (32 not out) to give Essex an eight-wicket win. The defeat is Surrey's first in eight Championship games against Essex, having won two and drawn five of last seven meetings between the two sides. Surrey had drawn four of their first five Championship games before this match, but Browne and Westley kept calm heads to lead unbeaten Essex to a deserved third win of the campaign. Browne smashed 13 fours in his 96-ball 77, setting the tone for a difficult chase before Westley and Lawrence took over to complete the job in style. Westley raced to his second Championship century of the season, with three successive fours off Scott Borthwick, before a 17th boundary and a single saw Essex home comfortably, with 18.4 overs to spare.